A parlour table will next be considered. A design for such a table is shown at Fig. 10.—Square-frame Table with Elliptical Top. 9.—Half Design for Table Leg. Fig. 10.—Square-frame Table with Elliptical Top. 8.—Horisontal Sectio» through Garner of Bide Table. Fig. 11.—Underneath Plan of Square-frame Table with Elliptical Top. 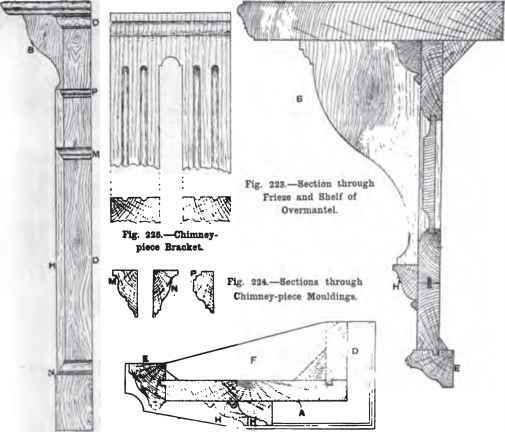 13 to 16.—Sections of Various Mouldings. 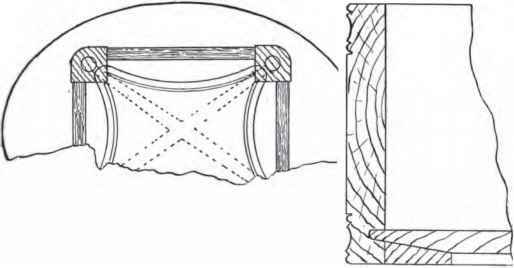 11.—Underneath Plan of Square-frame Table with Elliptical Top. Fig. 12.—Section through Table Drawer. the shelf is also moulded (see Fig. 17). The top is fixed in the same way as that of the rectangular side table (see Fig. 7, p. 2). 17.—Alternative Mouldings for Table Shelf. Flj. 21 —Jointa between Rails and Legs of Table. 21 —Jointa between Rails and Legs of Table. 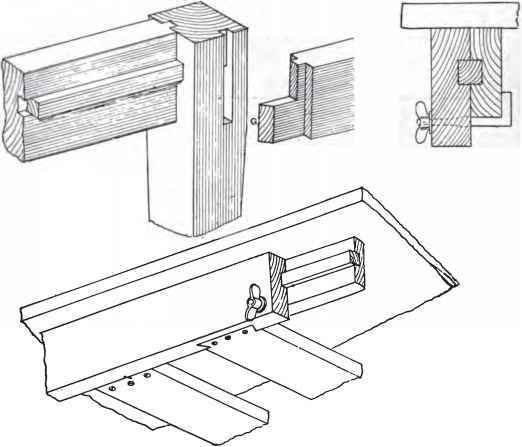 23.—8ection through Side Rails of Table, showing Method of Securing Them. Figs. 22 to 24. 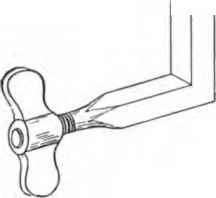 It is of square iron, bent to a right angle and rounded at the outer end, which is screwed for a nut. Fig. 2. *J shows that by tightening the nut the two rails are gripped together.